The BOSS (Bright Output Small Size) flashlight first debuted around mid-2016. However, it was not until December 2017 that the Titanium BOSS was finally released. Some may snort at the idea of a high powered (output) flashlight in Titanium due to its lesser than ideal heat dissipating properties but for Titanium geeks like us – it’s a dream come true! With several new Custom makers of Titanium triples lights in the market these few years; is this the one to get while you still can? This is our first Custom light reviewed on TLR and we will be doing the review a little differently. All future Customs reviewed will have a similar review style as this. This review is based on the Amber + 219C and Red + XP-L Hi models. In case you are wondering, these are the guys who made the BOSS light possible. 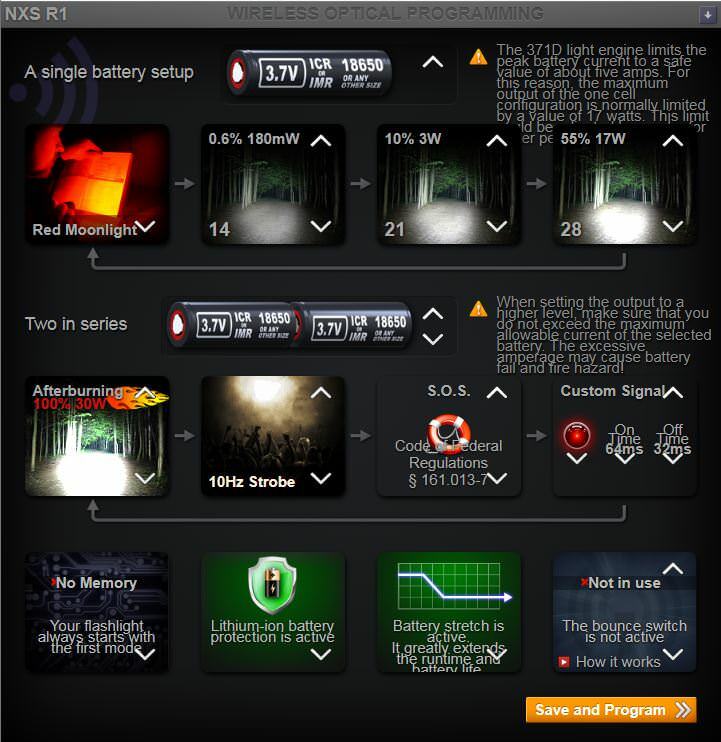 The BOSS flashlight can be purchased in the following formats (subject to availability). The Raw Titanium BOSS is made from Grade 5 Titanium (Ti 6Al-4V) material, sourced from the USA. As mentioned earlier, titanium is not the best heat dissipating material for a heat generating light. Hence, the BOSS Titanium head was designed such that the v5 board (371D Light Engine) sits in a copper socket which is part of a chunk of copper that sits in an outer titanium shell cover. There is a signature copper line (part of that copper chunk) which is visible between the 2 titanium shell covers. This copper chunk helps to mitigate the heat dissipating issue substantially. Packaging is extremely minimalist with the signature Oveready foam and ziplock bags. The threads and o-rings were sufficiently lubricated. Butter smooth threads for Titanium material (up in the leagues of McGizmo and the like). Excellent fit and finish – no rough/sharp edges and “stonewashed” finish). The light will definitely stay clipped to any material with almost no chance from falling out due to the tension provided by the Ti clip (again, quite similar to a McGizmo light). The Ti clip is held down firmly by 2 x custom T10 Titanium screws. The tail switch (McClicky) requires a slightly firm press to activate and is almost impossible to accidental activate in pocket due to the triad tail. Utilises the McClicky switch which is by far, the best forward clicky mechanical switch made to date. Battery compartment holds unprotected IMR 18350 and 18650 batteries without issue. Most protected 18650 batteries do not fit and are not recommended for this light as well since the light will pull up to a maximum of 5+A. Note: The following pictures depicts a BOSS 35, BOSS 70 (with optional Extra Crenelated Bezel – AlTiN) and Body Cap. The above are the various possible combinations involving 1 Primary Triple LEDs and 1 Secondary LED for each BOSS head. CRI measurements were done by Percy Mui (click on the LEDs’ names to see his CRI graphs). There are various accessories available for the BOSS light. This is a highly recommended accessory especially if you are getting a BOSS Combo. It keeps your spare body (and batteries) waterproof, dust-free and ready-to-go. It is made of Delrin and the grooves really helps during the screwing/unscrewing. This is an essential accessory if you intend to swap bezels and/or optics for your BOSS as BOSS heads are usually tightened down real tight (unless requested otherwise during the ordering stage). With this Bezel Wrench, it made swapping process a breeze, plus it could be used for opening other flashlights (25.4mm diameter and below) in a pinch without marring its finish. Note: Overtightening (by using excessive force) will cause some slight markings on the Titanium surface when the Bezel Wrench slips against the Titanium material. However, due to the “stonewashed” finish, those markings are well camouflaged (i.e. not visible unless scrutinised). Click HERE for the full set of instructions and video on how to use the Bezel Wrench in the correct manner. All BOSS lights will ship with the Clear Narrow Optics (Carclo 10507) as default. Being able to swap optics is awesome as it essentially gives you 4 different beam profiles from a single flashlight. However, do note that it is recommended to get the BOSS Bezel Wrench Set if you intend on swapping out optics as you wish. The following are the 4 types of optics available. Note: The optics do not automatically come with the Oveready Case (transparent 4 compartment case shown below). It is only complimentary when a minimum of $20 of non-clips parts are purchased but can be purchased separately as well. The crenelated bezel is made of Stainless Steel with 2 options (Silver or AlTiN-coated). While a flashlight is not advocated as a weapon, the BOSS with this crenelated bezel could inflict substantial injuries as the absolute last resort. However, do note that it is recommended to get the BOSS Bezel Wrench Set if you intend on swapping out bezels as you wish. Beam profile is not affected when using this bezel. There are 2 types of wands (White and Black) available. Both will cut down some of the spill portion of the beam when used. The White converts that spill portion of the beam into soft flood area lighting (great for reading and lighting up a room like a lantern) while still providing an almost normal beam profile. The Black is the opposite of the White – no soft flood area lighting but still provides an almost normal beam profile. For those looking to have a matching miniature Triad Tail style lanyard bead for your BOSS, this is definitely the one for you. UI for this light is perfect for Every Day Carry (EDC) and even tactical usage as it is extremely straightforward to use. One of the main perks of the BOSS is the Optical Programming. Basically, the sky is the limit for this light as you can literally program the light to whichever modes and memory setting you fancy. Switching ON and OFF is done by the tail mechanical switch on the light so momentary activation is possible. While the stock setting chosen (RLMH RLMH) is perfect for most uses, being able to tweak the 4 modes, memory type and etc. is just irresistible. When doing the 1/2 Presses, do it as quickly as you can and take a slightly more leisurely (~2 sec) PAUSE. The BOSS has successfully entered Programming Mode when the Secondary LED (Amber / Red) comes ON but dimmer than the normal Secondary mode output. This also displays the Board Build number (Secondary LED will blink out the 6 digits Serial Number). Click HERE to check the board build details. To set up the various Optical Programming modes a computer or phone/tablet with internet access is needed. Click HERE to access the Programming website. Setup the desired modes and options. 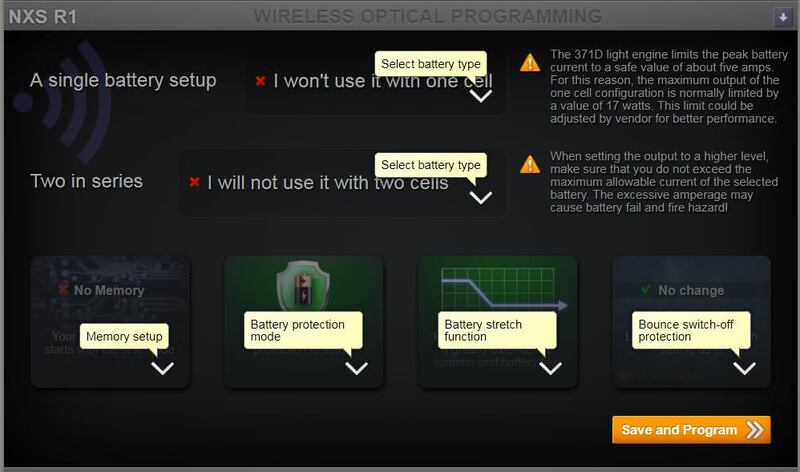 Once all options in Step 3 has been finalised, select “Save and Program”. Put the BOSS into Programming Mode (PIN: 222) as above. Select “Download as video” (if you like to activate this program offline in future) to your phone, tablet or computer. If not, select “Program”. Set screen brightness to Maximum. Once the Green color square is seen, place BOSS (LEDs facing screen) till the series of flashing White color square is completed. Programming cycle is complete when the square turns Green again. If the Secondary LED goes OFF, it means that the programming was successful. If not, repeat Step 8 till the Secondary LED goes OFF. 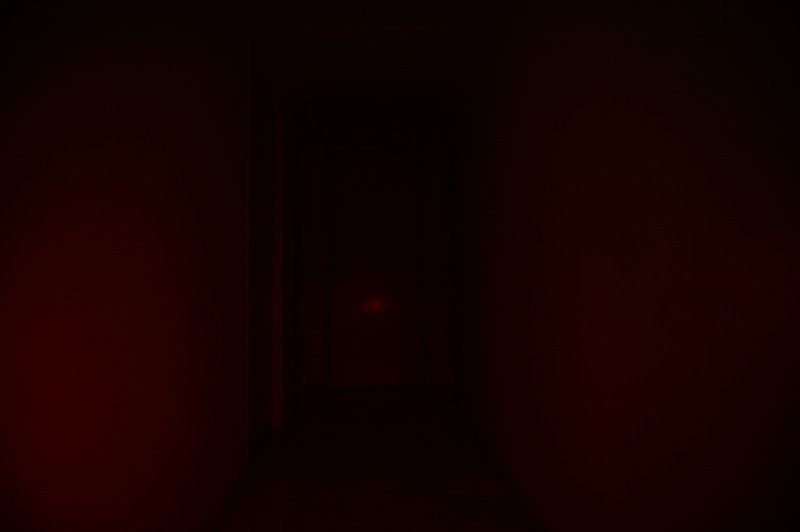 1 Click to switch OFF the light. To save this program, click the small down arrow on the top right hand corner of the website and click “Save As”. This program can be opened in future by clicking the small down arrow on the top right hand corner of the website and click “Load”. Instead of having to use PIN: 222 to put the BOSS into Programming Mode, it can be revised (PIN: 112) by clicking the small down arrow on the top right hand corner of the website, click “Load” and click “Set programming PIN to 112”. 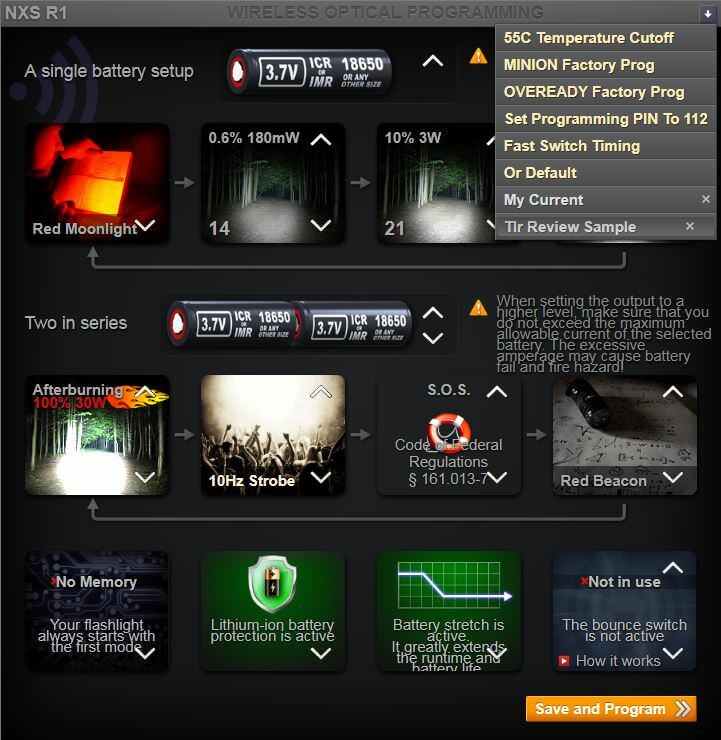 For setting switch timing and temperature regulation control (how hot before it steps down), click HERE and scroll to “Section H) Advance Settings“. The copper chunk does help with heat dissipation substantially but adjusting the maximum temperature allows the BOSS to run at a more optimal temperature. Note: When using CR123A batteries, avoid using any mode higher than MID (Level 21 on 1 Cell / Level 24 on 2 Cells) to prevent pushing more than 1A per CR123A battery. This is another really cool and surprisingly accurate feature of the V5 board – the ability to check the exact battery voltage. When doing the 1/2 Presses, do it as quickly as you can and take a short (~1 sec) PAUSE. The BOSS is successfully in Battery Check Mode when the Primary LEDs comes ON in MOONLIGHT mode. Each Primary LEDs blink signifies 1V. Each Secondary LED blink signifies 0.1V. Hence, 4 Primary LEDs blink and 1 Secondary LED blink signifies 4.1V. The “stonewashed” finish is beautiful – not overly dark and it hides the usual “swirl” usage marks that polished Titanium lights tend to suffer from. After scrutinizing through every inch of the BOSS, there isn’t a single sharp point or uneven machining anywhere. The “stonewashed” finish is perfectly even throughout the entire light; no dissimilar finishes between the head and body. The attention to detail can be seen from the new Titanium clip and the almost precise (perfect) amount of tension it clips to one’s pocket to the buttery smooth Ti threads. If we had to nitpick, the only thing we can fault is the 6 oval shape design (BOSS head) not being able to align up exactly with the 6 elongated teardrop shape design (BOSS body) when the head is fully tightened down. This BOSS 35 & 70 feels well balanced in a medium sized hand (not head/tail-heavy), with the BOSS 35 being able to disappear almost entirely in a clenched medium sized hand. Switching between overhand and underhand holding method is easy with its form factor. Surprisingly, despite the lack of knurling on the light’s body, it did not feel slippery, even with wet hands/gloves. This is something that occurs with the (legendary) McGizmo Haiku; a testament to a well-designed form factor. It can tail-stand perfectly without the slightest wobble due to the triad tail. Owing to the design of the triad tail, activating the tail switch is also much easier without increasing the chances of accidental activation. For this triple lights, the spill, corona and hotspot is somewhat predictable – often producing what is known as a “wall of light”. With the sheer output from the LEDs used, the beam is still sufficiently “throwy” for recognising items in the near to mid-range distance. The above beam profiles are rough interpretations of what is seen when white wall hunting when up-close and slightly further away for the default optic (Narrow Clear – Carclo 10507) only. The beam varies based on the different optics used. When up-close, the beam has a somewhat circular hotspot with some slight corona and a triangle spill. At slightly further distance, the beam has a more circular hotspot with some corona and almost no visible spill. There are no rings in the beam when whitewall hunting/in real world usage. All of the beamshots taken below are done so with the following camera settings (RED/AMBER: 2.5, F3.5, ISO100, 5000K WB, LOW: 1.3, F3.5, ISO100, 5000K WB, MID: 0.5, F3.5, ISO100, 5000K WB and HIGH & HIGH “TURBO”: 1/4, F3.5, ISO100, 5000K WB). The mode spacing of the selected RLMH RLMH appears progressively brighter to the eye and the modes are well spaced enough to be able to select just about any level one would need. With that in mind, TLR tend to view mode spacing as battery life indicators (amount of runtime left) rather than the specific output (lumens). With customizable outputs and modes available, the BOSS becomes a substantially more versatile light whereby it can be custom suited to one’s personal preference. In most cases, we usually harp upon the MOONLIGHT capability of a flashlight but with the AMBER / RED capability on the BOSS, we found ourselves not missing the MOONLIGHT for those bedtime runs or with night-adjusted eyes when color rendering is necessary. That said, the BOSS is capable of going as low as 0.18 lumens, so MOONLIGHT capability is definitely not an issue here. Since the programming is limited to a total of 4 modes, an alternative Mode setup could be MOONLIGHT, LOW, MID, HIGH with Bounce Switch ON. This way, there would be a total of 5 modes with the RED/AMBER being easily accessible (covering the BOSS head when ON will activate the bounce switch to RED/AMBER). Percy Mui did a detailed CRI study & testing for the XP-L HI and Nichia 219C LEDs. Based on the test results, the 4000K XP-L HI is at 84CRI whilst the 4000K 219C is at 95CRI. This is perhaps one of the most commonly requested question that Custom flashlight makers face – which LED is better to get? Unfortunately, in most cases, there is no perfect answer as everyone has their personal preference when it comes to Tint and Color Rendering – which most often affects the Output as well. Hopefully, with the comparison table below, it will aid in the decision making process for the BOSS light. Tint (when compared next to each other) Slight pinkish and yellowish tint. Slight yellowish tint. CRI 95CRI - Colors pop rather vivdly, especially red. 84 CRI - Colors appears sufficiently true to actual color. Summary Beautiful tint and excellent CRI but at the expense of output (lumens). Beautiful tint, good CRI and high Output (lumens). The selection of LEDs bins for the XP-L HI and 219C is excellent and covers the bases for most. For those yearning for maximum output would be happy to know that the XP-L HI can be the default LED to go for but not sacrificing much CRI in the meantime. And for those yearning for maximum CRI, should definitely try out the 219C at the expense of some output. So comes the next question – BOSS 35, BOSS 70 or Combo? BOSS 35 – The visual difference of a 219C on 1 Cell (Level 28) and 2 Cell (Level 33) is not that substantial so if forced to select a single BOSS only, it would be the BOSS 35 219C. BOSS 70 – The visual difference of a XP-L HI on 1 Cell (Level 28) and 2 Cell (Level 33) is rather substantial so if forced to select a single BOSS only, it would be the BOSS 70 XP-L HI. Combo – This is definitely the recommended option if it is within budget. The BOSS 70 body substantially increases runtime when a 1 x 18650 battery is used, has the maximum possible output (Level 33: Afterburning) on 2 x 18350 batteries or be able to run on 2 x CR123A primary batteries when needed. The BOSS 35 body helps decrease the overall form factor substantially, making the light very EDC-friendly and still be able to run 1 x CR123A primary battery in a pinch. With the Primary LEDs and BOSS bodies selected, the only thing left to choose is the Secondary LEDs. Due to the location of the Secondary LEDs in the optics, there are some beam artifacts but those are not visible in real life usage (unless used up-close). Hopefully, with the comparison table below, it will aid in the decision making process. Color Rendering Average - able to discern different object colors Poor - almost everything appears in different shades of Red. This might be one of the coolest part of the BOSS v5 Light Engine but is also one of the harder choices to make, once the above 2 questions has been dealt with. The RED triumphs the AMBER in night vision retention but loses out in color rendering and output. The AMBER seems like an overall winner here but loses out to the RED in night vision retention. Eventually, we found ourselves using the RED indoors and the AMBER outdoors after our longer than usual review period. Either way, both are excellent in their respective strengths and cater for most who do not prioritize color rendering over night vision retention. The light was subjected to warm water submersion, followed by cold water submersion and left under room temperature running water tap whilst running on High. For kicks, check out the underwater battery change video by Tom HERE. There is neither electronic nor mechanical lockout available when needed, like during transportation in a bag. While the switch is shielded by the triad tail and need quite a deliberate press to activate, there is always the possibility of it coming ON (especially if stored in a bag). Hence, it is highly recommended to activate the Bounce Switch. This way, even if the light comes ON in an enclosed area (pocket, bag or etc.) it will immediately default to RED/AMBER. It isn’t the best workaround for having no lockout capability but it is better than not having a solution at all. 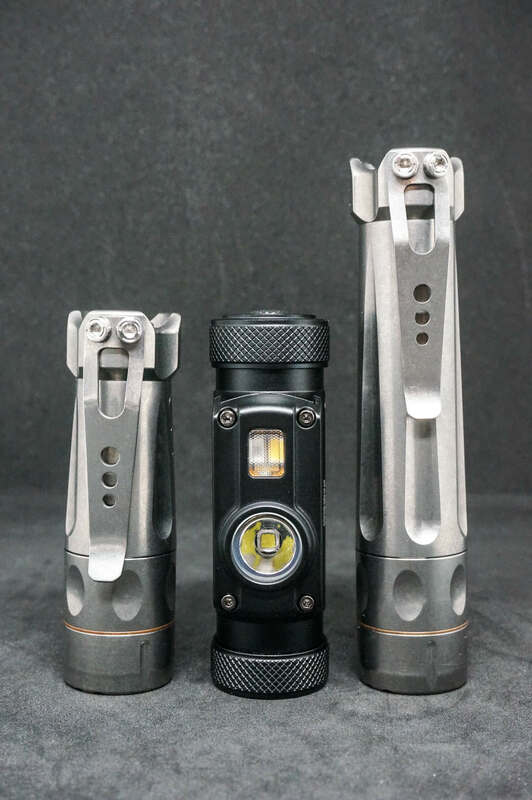 Here are some of the other Custom flashlights that might be recognizable for those looking to get a Titanium BOSS and would like to get a feel of how the BOSS would fit into their collection. For the 1st photo (L to R): McGizmo Haiku / McGizmo LunaSol LS20 / Mac’s Customs Tri-EDC / Jeff Hanko Sunwayman V10R Ti / McGizmo Mule / BOSS 35 / BOSS 70 / Prometheus Alpha Blue Label / McGizmo Makai. To sum up, we believe that the most important part of any review is if given the chance to purchase the same light for our own EDC or to gift to our loved ones out from one’s pocket (wallet), would we still do it? For this light, it is a definite YES – no question about it. The Optical Programming sounded kinda gimmicky at first but actually works like a charm. It probably is one of the most advanced Light Engines ever placed in a flashlight with Primary triple LEDs and a Secondary LED; and the ability to select from as low as 0.18 lumens to a maximum of 3500 lumens. Then comes the well-designed ergonomics – there is almost no uncomfortable way of holding it as they all provide ample grip (even with wet hands). The only other Custom light that feels that good in the hands is the (legendary) McGizmo Haiku. Looking back at the Design Philosophy of the BOSS, they definitely knock it out of the park. The fit and finish just screams quality and attention to detail. While the BOSS has almost everything going for it, there is still one tiny niggle that we could not help noticing. For most, this would not even matter but it would be nice if the BOSS head’s oval design aligns with the body’s elongated teardrop design when fully closed. Thank you for taking the time to read this exceptionally long review and we hope it benefits you greatly. So now, get your PayPal loaded up and ready to purchase the next available run/wave of Oveready TorchLAB BOSS flashlights along with the excellent range of accessories to choose from. Here is a bonus size comparison picture next to the Nitecore HC65 we recently reviewed, which also has an extremely useful RED mode for night vision retention. Disclaimer: The BOSS 35 was purchased by the reviewer. The BOSS 70 body and optional accessories were provided by Oveready in exchange for a full review. The additional BOSS head is on loan (with option to purchase) by Oveready for a comparison review. No other compensation was provided. 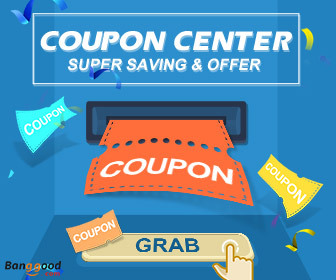 Disclaimer: The links below do not contain any affiliate or tracking links. 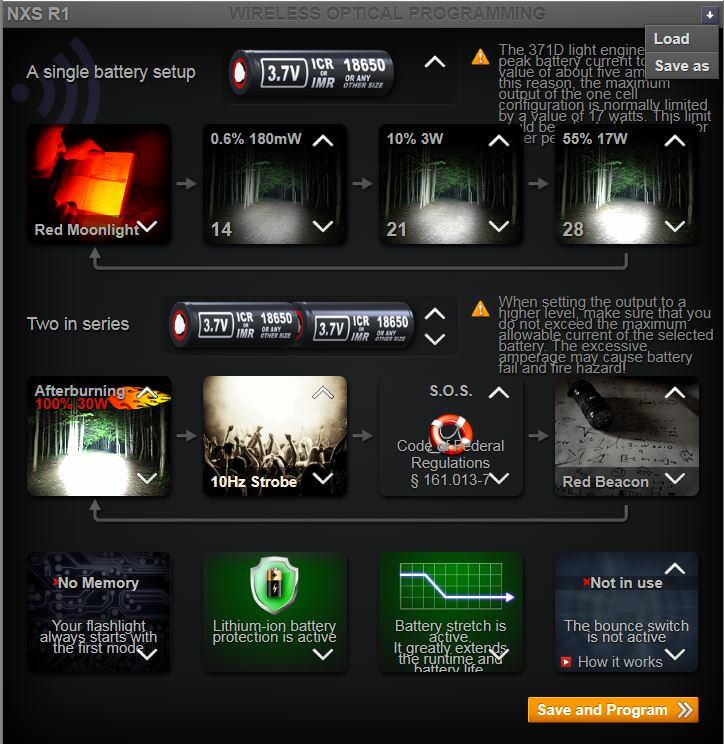 Oveready TorchLAB BOSS flashlights are sold in runs/waves. 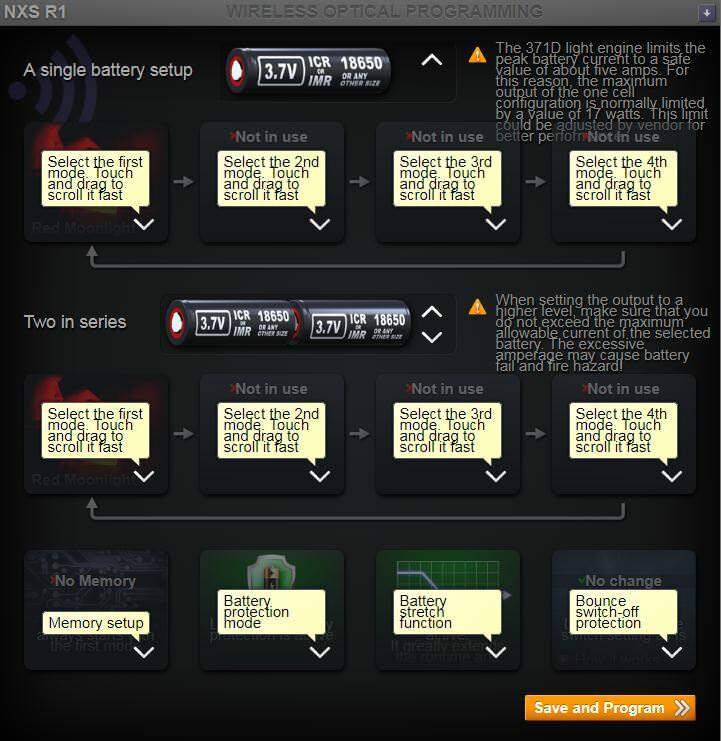 There are a few ways to get notified before each run/wave starts. HERE is where to purchase the Oveready TorchLAB BOSS.